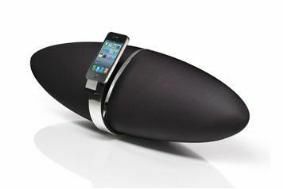 BRISTOL SHOW 2011: Be the first to hear B&W's Zeppelin Air in action | What Hi-Fi? The DACs have also been upgraded, with 24bit-96KHz capability for compatibility with emerging high-quality audio formats. All you need to do to book your place for the Bristol demo is follow this link, and select the day and time slot of your choosing from those available. This free ticket is for the demonstration only, and you will also need to have paid entrance to the Bristol Sound & Vision Show to access the Bowers & Wilkins rooms. Zeppelin Air demonstrations are taking place in room 326 at the Marriott Hotel, Bristol during the weekend of February 25-27th. For full details of the Bristol Show 2011, see our special blog.